Saudi medical students may remain in Canada and care for patients up to three weeks past a deadline that Riyadh had set for their departure amid a diplomatic spat, several universities confirmed Thursday. The extension to September 22 was granted after Saudi Arabia, outraged over Canadian calls for the release of activists, ordered all Saudi students home by the end of August. The reprieve will help students arrange new internships and transfers to schools in other countries, while Canadian teaching hospitals scramble to rejig the care provided by some 800 Saudi medical interns to thousands of Canadian patients. Dalhousie University in the Atlantic coast city of Halifax, McGill University in Montreal, the University of Toronto, and McMaster University near Toronto — which host the bulk of the affected Saudi students — told AFP they each received a letter this week from the Saudi Arabian Cultural Bureau advising of the new deadline. Canadian government officials did not immediately respond to a request for comment. “The medical school was informed by the Saudi cultural bureau that the deadline for the withdrawal of Saudi (medical) residents has been extended to September 22,” said Jennifer Lewandowski, a spokeswoman for Dalhousie University. 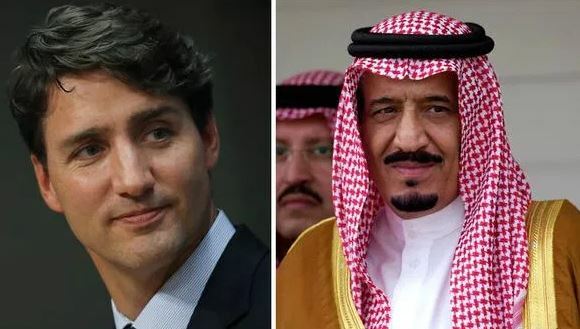 Saudi Arabia earlier this month expelled Canada’s ambassador, recalled its own envoy, froze all new trade and investments, and suspended all scholarships to Canada as part of a rupture between the two countries. According to the Royal College of Physicians and Surgeons of Canada, up to 25,000 patients could be affected by the loss of Saudi medical residents relocating to other countries. “This could impact healthcare in Canada,” Pari Johnston of Universities Canada, an association which represents 96 universities, said earlier this month. “Residents provide care to Canadians every day as part of their training. The Saudis represent one-third of care teams at teaching hospitals,” she said. The Association of Faculties of Medicine of Canada has said many of the Saudi medical trainees are in the middle of their residencies and face major disruptions in their education, training and research.